Ramharrack ... received a $2.7 million incentive payment although she had failed her her appraisal. Petrojam's general manager Winston Watson has hinted that it may be time to consider a review of the state entity's incentive payment policy. 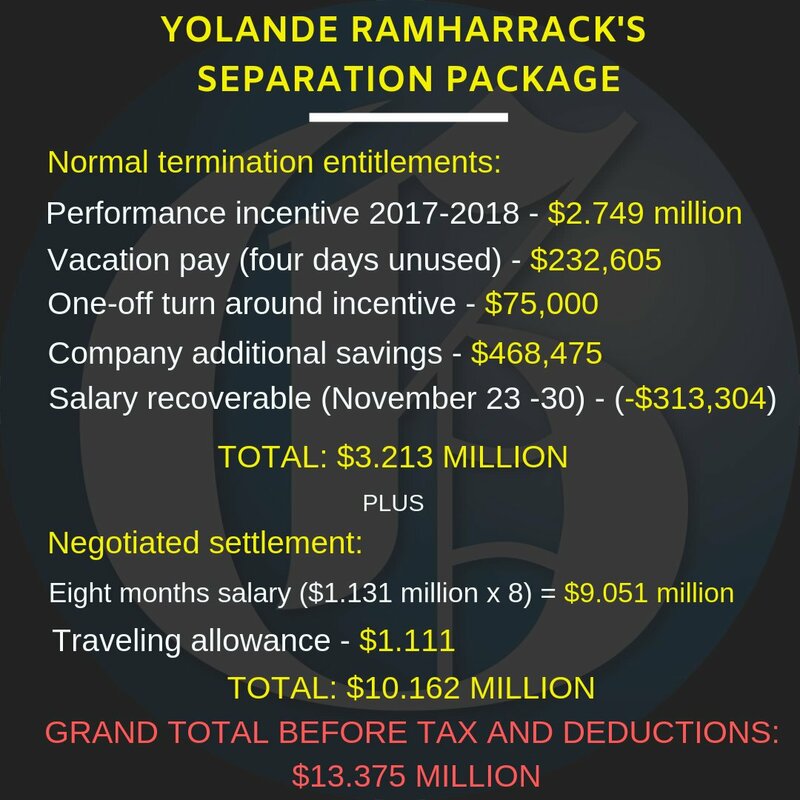 Watson made the assertion today as he faced questions from Opposition members of Parliament's Public Accounts Committee about the $2.7 million incentive payment to former human resource manager Yolande Ramharrack although she had failed her appraisal. Ramharrack, who received a separation package in excess of $13 million had attained a 47 per cent score on her appraisal. At the same time, she had 19 disciplinary charges against her. Today, Watson sought to explain that the $2.7 million payout was consistent with the company's policy for the 47 per cent appraisal score. "So if she obtained 90 per cent, she would own Petrojam?" committee member Peter Bunting questioned.